Maintain your bike for a better riding experience. We are able to service and maintain all makes and models of bicycles. We provide all levels of service, from basic lubes, tyre pressure and adjustments to brakes and gears to complete overhauls including crank and headset. Phone us on 02 4472 1777 or email us to book a service, make an enquiry, get a quote or even arrange for pick-up & delivery. 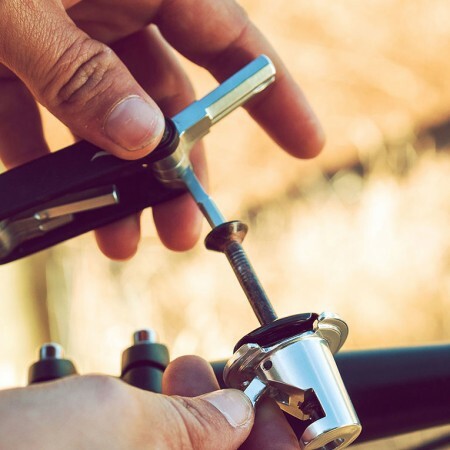 We offer a wide range of suspension servicing & tuning options aimed at getting the highest possible performance out of your bike’s fork, rear shock & dropper seatpost. Our trained technicians service a wide range: FOX Shox, RockShox, Specialized, X-Fusion, KS rear shocks and dropper seat posts. We can also analyse your current shock & fork set up using Shockwiz which works by analysing the changes in pressure in your fork/shock as you ride at around 100 times per second, and then provides us with set-up suggestions to help fine tune your suspension. Electric bikes require servicing and maintenance just like any other bicycle. We offer servicing on all makes & models, including Brose, Bosch & Shimano Steps motors. We can help you adjust your bike to increase power & endurance while maintaining comfort. A specialist at Batemans Bay Cycles can assess your individual needs and optimise your bike position for your body. Hanging out for a ride while your bike is being serviced, or simply keen to try out something new? Read more here about our bike hire options – we’ve got great rates and very flexible with try-before-you-buy options.